Anthony Joshua thinks he will have to be sharp on his feet if he is to beat Alexander Povetkin at Wembley Stadium on Saturday. The 28-year-old heavyweight world champion, who is nearly two stones heavier than his Russian opponent, holds the WBA, IBF, WBO and IBO belts. Joshua is unbeaten in his 21 fights as a professional, winning 20 of them with knockouts. He had been four pounds lighter for his last title bout against Joseph Parker. 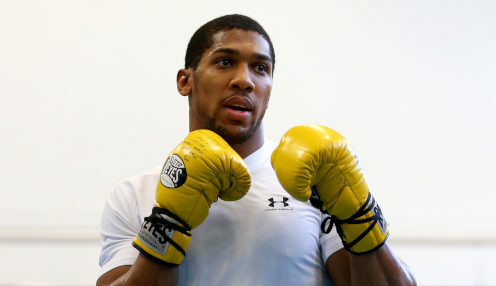 Joshua said: "He is going to be quick, he is going to be fast. That's why I have got to put on my dancing shoes and be sharp with my feet. "I am a physical, strong guy. I know how to box. So it will be a good competitive fight." The 39-year-old Povetkin, who has won 34 of his 35 bouts, said ahead of the fight: "The very least I will do is give everything I have. I do think it is one of my last big chances." Joshua knocked out Wladimir Klitschko in April 2017 while Povetkin was beaten by the legendary Ukrainian in Moscow in 2013. Joshua is 10/3 to win the fight during rounds four to six, while Povetkin is 6/1 to emerge victorious.